« You Can Live Without a Resume! How Linear is a Career? Figuring out a career path is tough work. From a very early age, in the US at least, we are all asked what we want to be when we grow up. At family gatherings, aunts, uncles, and grandparents will prompt you about being an astronaut, or a police, or even the president. It’s just small talk really, one generation trying to relate to another. But, it does start an important thought process. What do you want to be when you grow up, and how do you get there? My career has meandered quite a bit so far. I’ve been a grocery checker, life guard, clerk in a photo lab, pulled cable on a construction crew, and now I’m a software tester and a writer. There is no manual for what your career will or should be. Planning can help though. In his book Zero to One, Peter Theil mentions different two kinds of optimism and pessimism: determinate optimism, determinate pessimism, indeterminate optimism, and indeterminate pessimism. Peter uses these phrases to describe how businesses create plans, but the metaphor works pretty well when applied to personal planning, too. You are reading a blog on career flow right now, so I bet you think things can (and maybe will) be better. I’m going to ignore the pessimistic half of the equation for now. The determinate optimist knows things in the future will be better than they are today. This person also knows how things will be better and can plan their career and life accordingly. This planning usually means progressing through a university education, joining the work force, getting an MBA from a highly rated business school, and then moving into management. In some ways, this is a very conventional path. The indeterminate optimist knows things will be better, but has no clue how. They just ride the wave. This person often jumps from job to job and from field to field gathering up bits and pieces of experience and knowledge that interest them at the time. Progressing through the titles usually means increased responsibility in terms of the problems you might work on, the information you are expected to deliver, and the number of people that rely on you. This is a guide, but it can also be a trap. 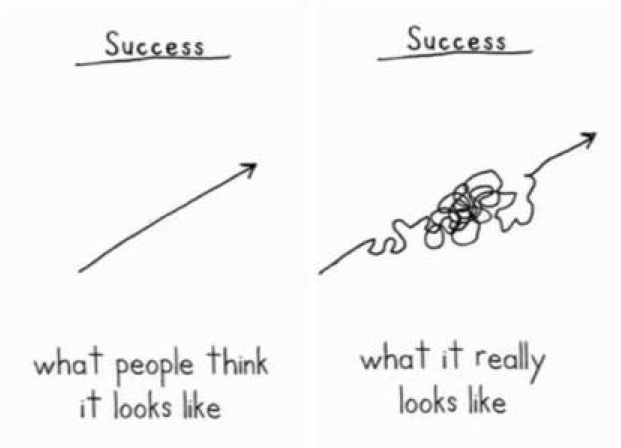 Defined paths make it difficult to remember that for the most part, your career is whatever you want to make it. There are always external circumstances and a bit of luck in the mix, but technology workers are not stuck at a company or in a particular path. Whether you chose to plan out your career in detail and follow a narrow path or go with the flow and see where things take you, it’s nice to know there are options. This is my last post for 2014 on Uncharted Waters, January 8th will mark exactly one year. I’ve really enjoyed writing here and am looking forward to another year on ITKE and Uncharted Waters. If you enjoy reading about technology news, management, freelance life, lean, and agile, you’re in the right place. And as always, if you’re interested in a particular topic, let me know.